Chennai: The opening clash of the Indian Premier League (IPL) between the Chennai Super Kings (CSK) and Royal Challengers Bangalore (RCB) might have seen MS Dhoni's Chennai boys run riot with a seven-wicket win, but the skipper understands the need to be cautious with wickets like the one prepared at the MA Chidambaram Stadium here for the game. "I never expected the wicket to play how it actually played and it was too slow and it just reminded me of the 2011 Champions League wicket. 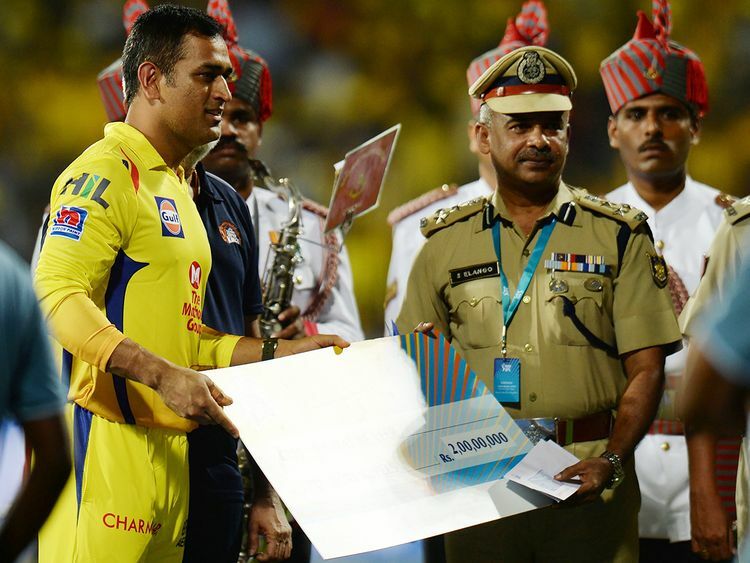 After the IPL, we came back and we had a really good season, the wicket got relaid and all of a sudden we found it very difficult," Dhoni said after the game on Saturday. "I feel if the wicket stays like this, it will be tough for us also. The wicket definitely needs to be a lot better than where it is right now, even with dew it was still spinning big. I feel it needs to be high-scoring, even the opposition would have known that it was a slow wicket. "Something close to 140-150 is something you are looking at. 80, 90, 100 or 120 is really low-scoring and if you have genuine spinners in your line-up it's very difficult to score runs. I feel the wicket needs to be much better than how it is now." Dhoni said that he wasn't expecting the wicket to play the way it did. "No not really, I wasn't sure about the wicket. We played a practice match on the same wicket and it was not turning so much. It was slightly a high scoring match, but usually in practice matches there's a tendency we score 30 runs more than a normal match. "Because of that reason we thought if we win the toss we will put the opposition in and also there's fair amount of dew," he explained. The skipper said that the biggest issue with a wicket like this was if Chennai ended up losing the toss because even the CSK batsmen would then at time have to bat first and there are players in the line-up who like to score freely. "We need to score runs as well, ours is a batting attack where batsmen like to play their shots and you can't control the toss which means that we might have to bat first in matches as well. If the wicket gets slightly better it might be a completely different scenario and the opposition, the kind of spinners they have got it will be difficult to score runs. "If you want to be consistently good I don't think this is the wicket that will really suit us," he added. Commenting on the brilliant performance from Man of the Match Harbhajan Singh, Dhoni said he was really pleased with the job done by the senior player. "We have communicated it really well to all the players as to what are the scenarios they'll feature in and in which conditions. That will keep changing according to the opposition and the condition as well, mentally they are ready and up for it because it is slightly difficult to adjust to that but we have actually told them quite before that this is the shuffling that may or may not happen as the tournament progresses. "Harbhajan's is one slot and we might shuffle it around. He would never mind bowling on such wickets whether its in the middle overs or in the powerplay and today the other spinners capitalised on the start we got," he said.